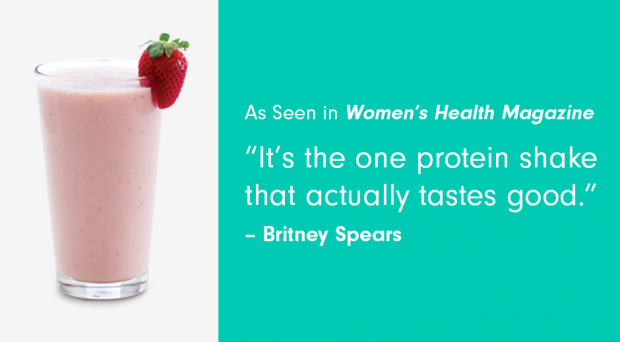 In the new January/February 2015 edition of Women’s Health Magazine, pop star Britney Spears shares her two-week workout journal where she openly gives ViSalus Vi-Shape® Shakes a shout-out when discussing her pre-workout routine. “Britney tells us she sips a blend of milk, ice, and ViSalus shake mix before workouts: ‘It’s the one protein shake that actually tastes good,’ she says.” Britney gives her full workout routine in the exclusive article starting on page 59. And by the way Britney, you look fantastic!! To learn more about ViSalus nutrition and healthy weight loss, visit our ViSalus Shakes page. There is no better time to begin your workout regime than now. New Year’s is a time when we focus on making changes in our lives and there is no better goal you can set for yourself than improving your health. If you have questions about weight loss, our products or proper dieting, we encourage you to Contact Us today! If you prefer, you can call us or send us a confidential text at (615) 828-4293.